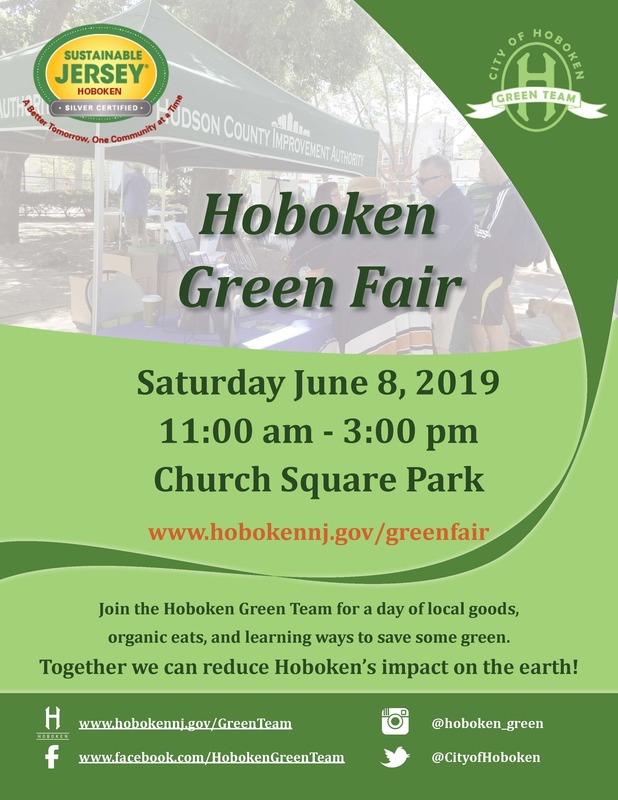 The City of Hoboken will host the 8th Annual Green Fair on Saturday June 8, 2019 from 11am to 3pm at Church Square Park, located at 4th Street and Garden Street. The Hoboken Green Team organizes the fair, which features green businesses, non-profit organizations, artists, and food vendors whose mission aligns with environmental sustainability. Each year, the Green Fair encourages sustainable lifestyle choices for our community, raises awareness regarding environmental issues, and demonstrates how consumers can reduce their impact on the earth by selecting sustainable, eco-friendly products and services.